The Twenty-First Meeting of the Council for Foreign and Community Relations (COFCOR) of the Caribbean Community (CARICOM) convened in Nassau, The Bahamas on 7-8 May 2018, under the Chairmanship of the Honourable Darren Allen Henfield, Minister of Foreign Affairs of The Bahamas. The COFCOR was attended by the Honourable E.P. Chet Greene, Minister of Foreign Affairs, International Trade and Immigration of Antigua and Barbuda; the Honourable Wilfred P. Elrington, Minister of Foreign Affairs of Belize; Senator the Honourable Francine Baron, Minister of Foreign Affairs and CARICOM Affairs of the Commonwealth of Dominica; Honourable Peter David, Minister of Foreign Affairs of Grenada; Honourable Carl Greenidge, Vice President and Minister of Foreign Affairs of Guyana; His Excellency Antonio Rodrigue, Minister of Foreign Affairs and Worship of Haiti; Senator the Honourable Kamina Johnson Smith, Minister of Foreign Affairs and Foreign Trade of Jamaica; the Honourable Mark Brantley, Minister of Foreign Affairs and Aviation of St. Kitts and Nevis; the Honourable Sir Louis Straker, Deputy Prime Minister and Minister of Foreign Affairs, Trade and Commerce of St. Vincent and the Grenadines; Her Excellency Yldiz D. Pollack-Beighle, Minister of Foreign Affairs of Suriname; and Senator the Honourable Dennis Moses, Minister of Foreign and CARICOM Affairs of Trinidad and Tobago. Mrs. Cecile Humphrey, Permanent Secretary of the Ministry of Foreign Affairs and Foreign Trade, represented Barbados, and Her Excellency Elma-Gene Isaac, Ambassador to CARICOM and the Organisation of Eastern Caribbean States (OECS) and Permanent Secretary of the Department of External Affairs, represented Saint Lucia. The OECS Commission was represented by His Excellency Anthony Severin, Head of International Relations. His Excellency Irwin LaRocque, the Secretary-General of the Caribbean Community, and the Honourable Darren Allen Henfield, Minister of Foreign Affairs of The Bahamas and Chair of the COFCOR, addressed the Opening Ceremony. Mrs. Cecile Humphrey also delivered remarks on behalf of Senator the Honourable Maxine McClean, Minister of Foreign Affairs and Foreign Trade of Barbados, and immediate past Chair of the COFCOR. The Secretary-General pointed out that, at this annual meeting, contrary to the preceding year, the Council would narrow its perspective and focus on developments in the Latin America and Caribbean region that were of increasing concern to the Community, discuss the strengthening of relations with traditional partners and the widening of its outreach to non-traditional partners. He underlined the importance of effective multilateralism and concerted action in confronting the wide range of challenges facing the Community. In this regard, he highlighted CARICOM’s success in bringing global attention to issues of regional concern such as non-communicable diseases, graduation from access to concessional financing, climate change, the vulnerability of Small Island Developing States (SIDS), and the treatment of undocumented British citizens of Caribbean descent resident in the United Kingdom, the ‘Windrush Generation’. Recognising that the Region was still recovering from the climatic disasters of September 2017, Ambassador LaRocque underscored the critical importance of continued and joint advocacy to facilitate the access of Member States to concessional financing to build resilience. Lastly, he urged the COFCOR to continue to strengthen its coordination of foreign policy to realise further success for the benefit of the Community. In the remarks delivered on behalf of Senator the Honourable Maxine McClean, Mrs. Cecile Humphrey indicated that the Minister was honoured to have served as Chair of the COFCOR for the previous year. The Minister underlined the need for the COFCOR to continue to remind the international community that vulnerability should be factored into consideration of eligibility for concessional development financing and official assistance. The Minister expressed appreciation to international development partners and partner institutions which made resources available to the Region to assist with disaster recovery efforts. The COFCOR reviewed its relations with its traditional partners and discussed ways and means of consolidating them. Foreign Ministers considered the various issues related to United States (US) foreign policy and areas of mutual interest and proposed the widening of mechanisms for dialogue for the Community's continued engagement with the US. In so doing, they recognised the need to take advantage of the framework provided by the US Strategic Engagement Act with the Caribbean (HR4939). The Council was updated on the efforts underway to retain the Community’s trade relations with regard to the Community’s engagement with the UK Post-Brexit and reaffirmed the importance of regular engagement with the UK on matters of mutual interest. In this regard, they welcomed the high-level engagement in London between the British Prime Minister and CARICOM Heads of Government at which they discussed issues of priority concern to the Community, including the situation of undocumented British citizens of Caribbean descent. The Council welcomed the revitalisation of its engagement with Canada. 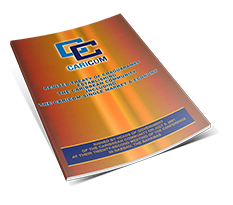 In recognising the importance of regular political engagement, the COFCOR considered proposals for increasing CARICOM-Canada interaction. The COFCOR took note of Canada’s new development assistance priorities which spoke to several areas of concern to the Region. Ministers also welcomed the invitation extended to the Community to participate through the Heads of State and Government of Haiti and Jamaica in the forthcoming G7 Meeting in Canada in June 2018. The COFCOR looked at the common challenges faced by small states and reaffirmed the importance of continued engagement with small state groupings, such as the Pacific Islands Forum and the Indian Ocean Commission, in order to address jointly in international fora, especially at the United Nations, the unique and particular vulnerabilities of SIDS more effectively. 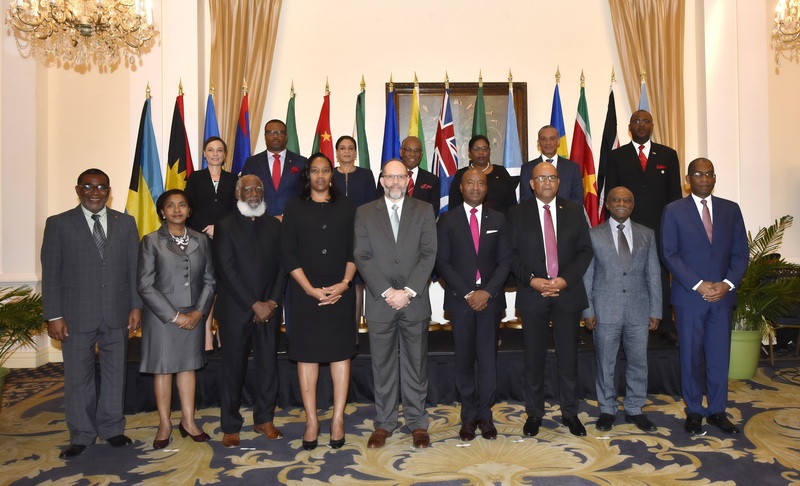 Foreign Ministers endorsed a number of CARICOM candidatures for positions in multilateral institutions and also considered the candidatures of Third Countries requesting CARICOM’s support. With regard to the United Nations (UN), the COFCOR considered issues relating to the reform of the United Nations Security Council and the development of an international legally-binding instrument on the conservation and sustainable use of Marine Biological Diversity of Areas Beyond National Jurisdiction (BBNJ). They also underlined the importance of effective preparations for the forthcoming 24th Conference of the Parties to the United Nations Framework Convention on Climate Change (COP 24) in Poland on 3-14 December 2018. They also discussed preparation for the high-level UN Meetings on tuberculosis and non-communicable diseases (NCDs), in this latter regard took note of the briefing transmitted by the Healthy Caribbean Coalition. The COFCOR underscored the importance of the S.A.M.O.A. Pathway for SIDS and particular attention was paid to the forthcoming review of this process and to regional preparations, including the hosting of the Caribbean Regional Preparatory Meeting on the Review of the S.A.M.O.A. Pathway by Belize on 7-8 August 2018. In discussing developments in the hemisphere, Foreign Ministers reflected on the impact on and implications for the Community of matters arising in the wider hemispheric region, and discussed strategies for promoting the Community's interests. The COFCOR underlined the importance of the Community of Latin American and Caribbean States (CELAC) and the Association of Caribbean States (ACS) and underscored the need for CARICOM to play a vital role in these organisations. The COFCOR emphasised its support for the work of the Caribbean Sea Commission (CSC) towards advancing the designation of the Caribbean Sea as a Special Area in the context of Sustainable Development. The Council reflected on the outcomes of Commonwealth Heads of Government Meeting (CHOGM) held in London, United Kingdom, on 18-20 April 2018, in particular the adoption of the Blue Charter and the facilitation of and CARICOM Heads of Government on the matter of the Windrush Generation. The COFCOR also noted the outcomes of the Eighth Summit of the Americas held in Lima, Peru, on 13-14 April 2018, in particular the Lima Commitment on Democratic Governance Against Corruption. The COFCOR considered the Preparations for the ACP-EU Negotiations for a Successor Agreement to the Cotonou Partnership Agreement. In view of the importance of the ACP-EU Post-Cotonou relationship, the Meeting welcomed the report of the Secretary-General of CARIFORUM concerning the ACP/EU Post-Cotonou relations and the outreach programme being spearheaded by Jamaica. The Council urged Ministers to ensure the highest levels of participation in the forthcoming 107th Session of the ACP Council of Ministers and the 43rd Session of the ACP-EU Joint Council to be held in Togo in May 2018. The Meeting reaffirmed the position taken by CARIFORUM Foreign Ministers at their Meeting in St. Kitts and Nevis in April 2018 where a preference for an all ACP-approach was established. The COFCOR received as invited guests Her Excellency Ana Birchall, the Deputy Prime Minister of Romania for the Implementation of Romania’s Strategic Partnerships; His Excellency Nikolai Astrup, Minister of International Cooperation of the Kingdom of Norway; and His Excellency Walter Lindner, the Deputy Foreign Minister of the Federal Republic of Germany. Side meetings were also held with the Honourable Marie-Claude Bibeau, Minister of International Development and La Francophonie of Canada and Ambassador Kenneth Merten, Acting Principal Deputy Assistant Secretary for Western Hemisphere Affairs, Department of State of the United States. The COFCOR received an update on the most recent developments between Belize and Guatemala. The COFCOR expressed concern that the undertaking by both countries and the Organization of American States (OAS), to engage in the design and development of a mechanism of co-operation for the Sarstoon River, remains outstanding, and they reiterated their call for both countries and the OAS to redouble their efforts in this respect. They expressed their hope that both countries will continue advancing their efforts to fulfil all their obligations under the Special Agreement. In this context, they noted with satisfaction that in accordance with the Special Agreement to Submit Guatemala’s Claim to the International Court of Justice, Guatemala successfully held its referendum on 15th April 2018 and that Belize has set the date for its own referendum slated for 10 April 2019. COFCOR expressed support for the continuous and critical role of the OAS in the process aimed at resolving the dispute arising from Guatemala’s claims on Belize and further called on the international community to continue supporting the OAS Office in the Adjacency Zone. COFCOR emphasized their unflinching support for the sovereignty, territorial integrity and security of Belize. The COFCOR noted that the Government of Guyana had filed its Application with the International Court of Justice (ICJ) on March 29, 2018 in keeping with the decision by the Secretary General of the United Nations issued on 30 January 2018, within the framework of the Geneva Agreement of 1966, to choose the ICJ as the means that is now to be used for the settlement of the controversy between Guyana and Venezuela. Ministers noted that the decision of the Secretary General, which was in accordance with the principles and purposes of the United Nations Charter, was intended to bring a peaceful and definitive settlement to a longstanding controversy. The COFCOR reiterated its unequivocal support for the maintenance and safeguarding of Guyana’s sovereignty and territorial integrity. Foreign Ministers received the presentation by Her Excellency Louise Arbour, Special Representative of the United Nations Secretary General for International Migration. They discussed the global issue of migration and its dynamics in the Region, which is affected by an inflow of migrants from regional and extra-regional sources. Ministers emphasised the importance of participating in the intergovernmental consultations to develop the Global Compact for Safe, Orderly and Regular Migration and to seek the support of the International Organization for Migration (IOM) and the Office of the United Nations High Commissioner for Refugees (UNHCR) in addressing current and future migration challenges. The Ministers expressed to the Government and people of the Commonwealth of The Bahamas their deep appreciation for the warm hospitality, excellent arrangements and courtesies extended, which facilitated the successful deliberations of the Twenty-First Meeting of the COFCOR.